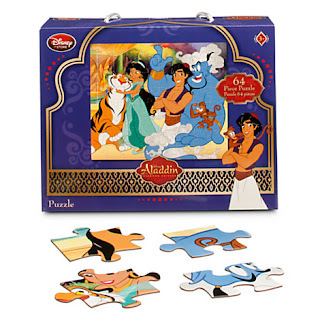 This is the Aladdin Puzzle. They couldn't wish for a more engaging Aladdinimage to piece together than this one featuring all their favorite characters. 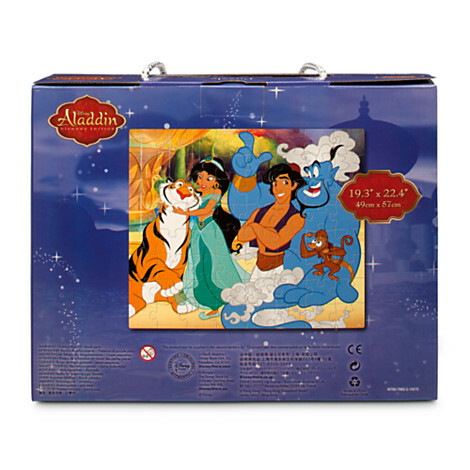 Jasmine, Raj, Aladdin, Genie, and Abu are pictured in this 64-piece puzzle that comes in carrying box.